Phillip E. Quackenbush, 72, of French Island, WI passed away Tuesday, March 19, 2019, at Gundersen Health System in La Crosse. He was born March 8, 1947, in Sparta, WI to Clyde W. and Rose J. (Parlow) Quackenbush. Phillip farmed in Big Creek and Leon growing up. He married Ada Dawn Lenser. Together, they had three children and they later divorced. He married Verna Joyce Williams and she preceded him in death. Phillip helped on the family farm, worked for Sletten Furniture in La Crosse, he worked at UW-L for over 30 years, and he also ran his own business Phil’s Yard Service of the La Crosse area. 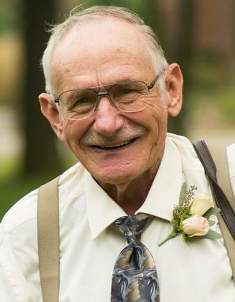 He was a member of the Two Cylinder Tractor Club, Union Steward at UW-L, enjoyed political rallies in Madison, dancing, listening to country and polka music, woodworking especially making bird houses, and being a handy man.